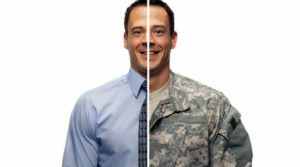 VAMBOA provides an opportunity for corporations that value Supplier Diversity to connect with outstanding Veteran Business Owners, Service Disabled Veteran Business Owners and Military Business Owners. According to a 2007 Census Report, there are 2.4 million Veteran Business Owners. Veteran Business Owners including Service Disabled Veteran Business Owners accounted for over $1.2 Trillion in receipts in 2007. This number has increased. These Veteran Business Owners, Service Disabled Veteran Business Owners and Military Business Owners offer excellent products and services across the board. Their experience in the military has taught them many skills that they have transferred to operating a successful business. Many are also minority-owned. VAMBOA is the fastest growing Veteran and Service Disabled Veteran Business Owner Trade Association in the nation. With a nationwide membership of over 7,000 Veteran Business Owners and more than 217,000 followers on Twitter, VAMBOA is becoming the Go To Site for Veteran Business Owners. Veteran Entrepreneurs Who Rock It!